The Channel Island of Jersey is a beautiful holiday destination which offers plenty for lovers of the great outdoors to enjoy all year round. From golden beaches to dense woodland, Jersey’s idyllic scenery provides the perfect opportunity to relax in a variety of tranquil settings. Being such a diverse and unspoilt location, it should come as no surprise to learn that Jersey is a particularly popular location for birdwatching enthusiasts who want to spend a week or two spotting some new and unusual species. Here, you’ll find our guide to some birds you’re likely to see if you take a trip to the island in future, along with a selection of rarer examples that you just might spot if you happen to be in the right place at the right time! To find out more about the birds featured in this guide and how often they are spotted in Jersey, simply click on any of the images below. You’ll then be taken to more information which describes the appearance and behaviour of the bird you’ve selected, as well as when and where you will be most likely to find it on the island during your Jersey holidays. The birds featured in this section of our guide are either regularly-spotted, annual migratory visitors to Jersey or are permanent residents of the island. With the help of the information we’ve provided, you should be able to time your holiday so that you see a good number of the birds we’ve highlighted – all whilst enjoying the stunning scenery that Jersey has to offer. From the red-breasted merganser – which can reach flight speeds of up to 100 mph – to the beautiful heron subspecies known as the little egret, there is a huge range of fascinating birds to look out for across Jersey. This part of our guide picks out just 10 of those which, with a little prior planning, you are almost certain to spot. 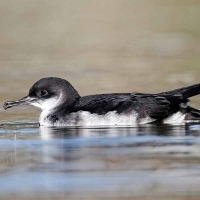 The Manx shearwater is a seabird which takes its name from previously being a common resident of the Isle of Man. Now often seen off the northern coast of Jersey throughout much of the year, the shearwater is notable for how low it flies over the sea, with its wingtips almost touching the water. The upper side of the bird’s body is coloured black and its lower side is white, which creates the illusion of its wings seemingly changing colour as it flies. 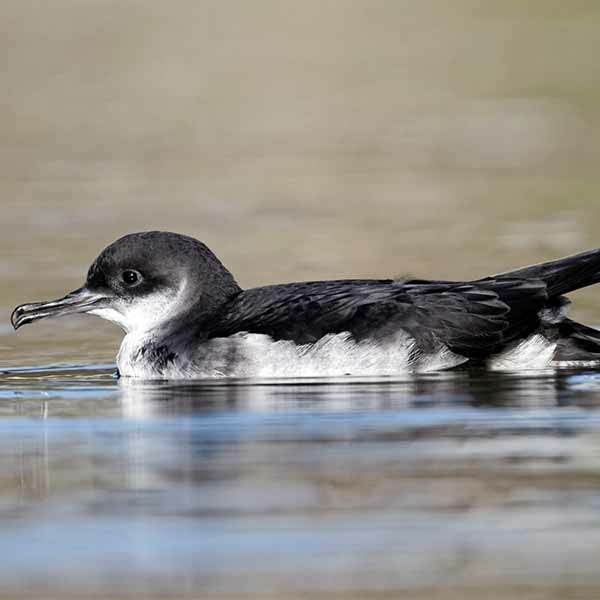 The Manx shearwater has a distinctive and eerie nocturnal cry, which for centuries has led to it being associated with the supernatural. Where: The signal station at the ruins of Grosnez Castle, in the north-west of the island. 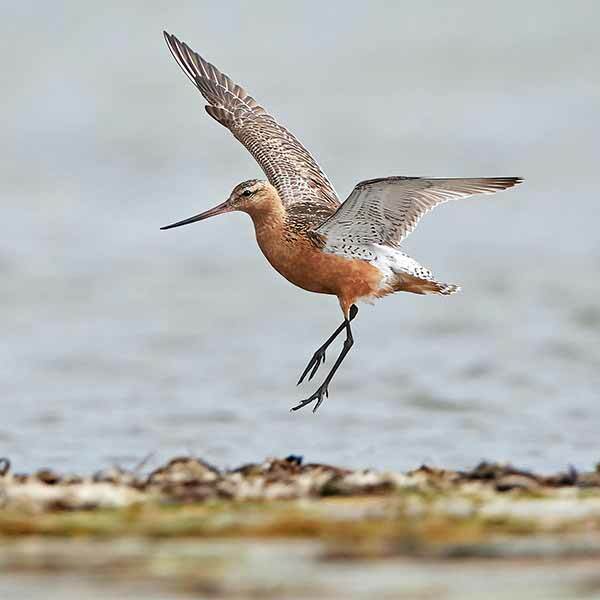 Easily identifiable thanks to its long, distinctive bill, mottled grey back, and red neck, breast and belly, the bar-tailed godwit is thought to have the longest non-stop flying ability of any bird. Although it is now classified as ‘near-threatened’ globally, this species is a very common winter migrant and visitor to Jersey. However, sightings of this godwit subspecies have declined in Jersey somewhat in recent years, which is causing some concern among conservationists. The bird is most commonly seen by the beach at Grouville Bay, which is one of the island’s most popular sunbathing spots, and visitors are now being urged to be careful not to disturb any godwits they come across. Where: Grouville Bay, in the island’s south-east corner. With its striking appearance (it has a black bill, head, back and feet, and white underbelly), the razorbill is quite easy to spot during its frequent visits to Jersey’s coastline. Razorbills only visit land to breed – and rarely choose Jersey as their mating spot of choice – but are regularly seen in and flying over the sea surrounding the island. 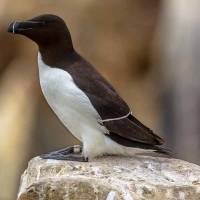 The razorbill is classified as ‘near-threatened’, which is largely due to the species being commonly hunted for its meat, eggs and feathers in the early 20th century. Since greater protection was introduced in 1917, however, the bird’s numbers have been steadily increasing. Where: All along the island’s north coast. A very occasional resident on the island, the beautiful Eurasian Oystercatcher is also a common visitor to Jersey in the winter months. 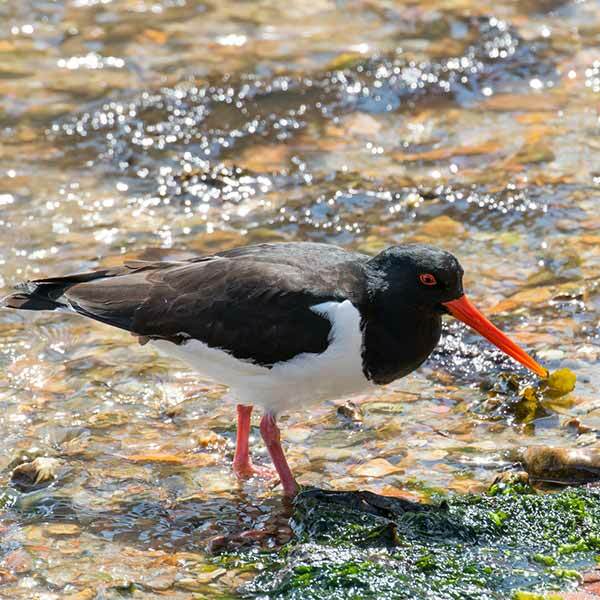 Fortunately, the oystercatcher is very easy to spot when nearby thanks to its loud cry and colourful markings (it has a red bill, red legs, black head and neck and white underparts, as well as wings which are mainly black but also have white patches). As its name would suggest, the oystercatcher’s strong bill is capable of smashing open all kinds of hard-shelled molluscs, including oysters and mussels. Many members of the species, however, choose to use their bills to dig into the ground and find earthworms instead. Where: St Aubin’s Bay and, for the more adventurous visitor, the uninhabited ‘islets’ of Ecrehous (to the north-east of Jersey) are regular hosts to the oystercatcher. 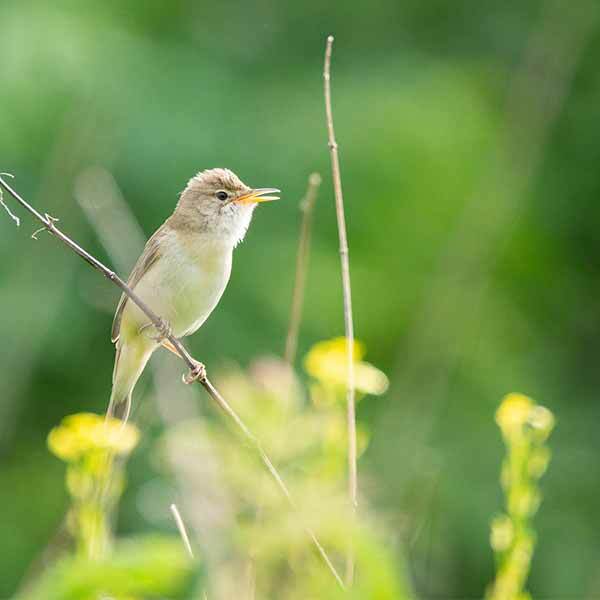 The Eurasian reed warbler commonly breeds in Jersey, meaning that it is regularly seen on the island in the spring and autumn months. At 12.5 – 14 centimetres long, the warbler is among the smaller of the birds you will spot in Jersey and can usually be found living in and around tranquil reedbeds. Although it is perhaps not the most striking bird you will ever see, the reed warbler nevertheless has a pretty song and, due to its serene habitat, always provides birders with a pleasant spotting experience. It is also fascinating to watch these birds as they hop nimbly from stalk to stalk in their reedbed home. Where: St Ouen’s Pond, found within St Ouen’s Bay on the island’s west coast. Easily one of the most interesting diving ducks you are likely to see anywhere, the red-breasted merganser is, despite its name, probably most recognisable for its spiky crest and red eyes, along with a long, thin bill which has serrated edges. 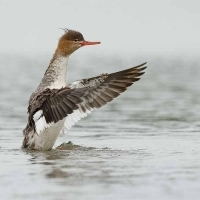 Whilst most ducks tend to conjure up images of tranquilly gliding across the water, the red-breasted merganser is capable of much more than this. As well as its impressive diving and underwater swimming abilities, this subspecies of sawbill is officially the world’s fastest duck, with its flight speed having been recorded at 100 mph. Where: St Aubin’s Bay and La Rocque, both on the island’s south coast. 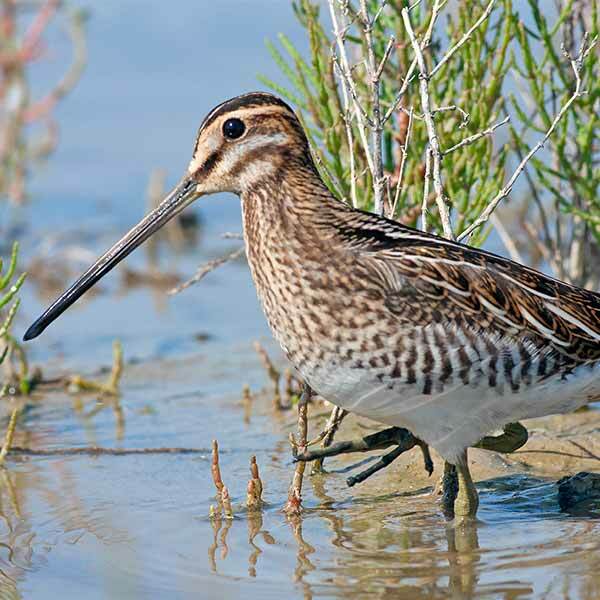 A small wader, the common snipe is notable for its disproportionately long bill. Apart from this identifying feature, however, the snipe is tricky to spot due to its heavily camouflaged, mottled markings. This is not the only way in which the wader attempts to evade its predators, with the snipe also flying away in erratic, zigzag patterns when disturbed. 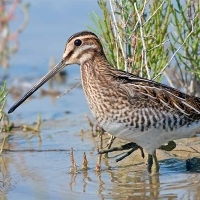 Commonly seen throughout most of the Channel Islands during the winter months, the snipe is also unique in terms of its birdsong and elaborate courting display. When searching for a mate, the male flies in high circles before diving and vibrating its tailfeathers to produce a sound which is variously described as being like drumming or a bleating goat! Where: Marshland at La Blinerie, found a couple of miles to the east of the island’s capital, Saint Helier. If you find yourself in the right spot, you can spot little gulls in their hundreds between the months of August and December in Jersey. Somewhat more attractive than the common seagull we are used to seeing around Britain’s coastline, the little gull has markings that change throughout the year, sporting a striking black head during the summer which turns white as the weather changes. The little gull is, appropriately enough, the smallest subspecies of gull, with even the largest birds measuring less than 12 inches long. This type of gull is also less likely to engage in the kind of human food-grabbing that common seagulls are so notorious for, instead catching their meals by nimbly picking prey off the surface of the water. Where: The bays at St Catherine’s and Le Coupe, both of which are at the island’s north east corner. There was a time, not very long ago, that the little egret (a small subspecies of heron) was a rare sight in Jersey. First spotted on the island in 1978, it was not seen again until 1989, when there were three sightings. 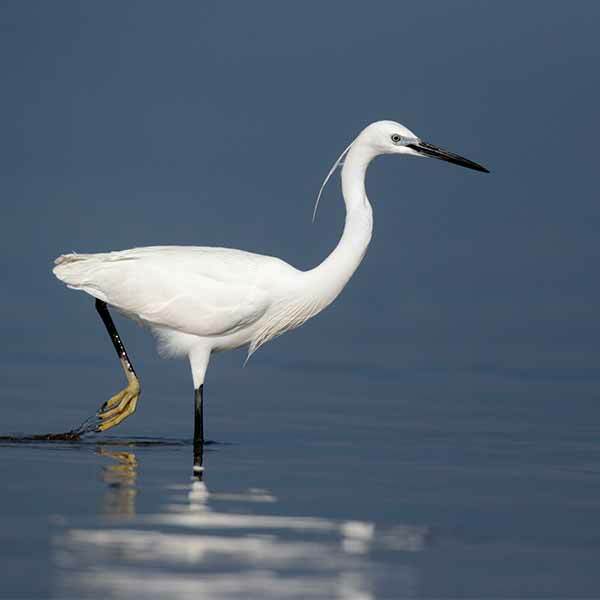 Since then, however, the egret has successfully settled in the area, and started to breed on the island in 2002. 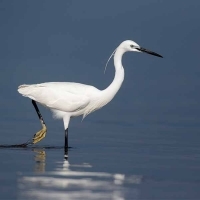 A beautiful bird to observe whether in flight, still or even running, the little egret has a pure white plumage, extremely long beak and long, thin legs. Like most herons, the little egret is generally a sociable creature, so the chances are that you will probably be ‘spotting’ a whole flock when you see one. Where: Marshland at La Blinerie, found a couple of miles to the east of the island’s capital, Saint Helier (there is a thriving little egret colony at its east boundary, currently numbering around 150 individuals). St Aubin’s Bay is also a favourite visiting spot for little egrets at low tide. Jersey is a favourite spot for the brent goose. One of the smaller species of geese found in the UK or elsewhere, it has three subspecies that vary in colour. The names of these subspecies – dark-bellied, pale-bellied and black – make it easy to discern which is which. 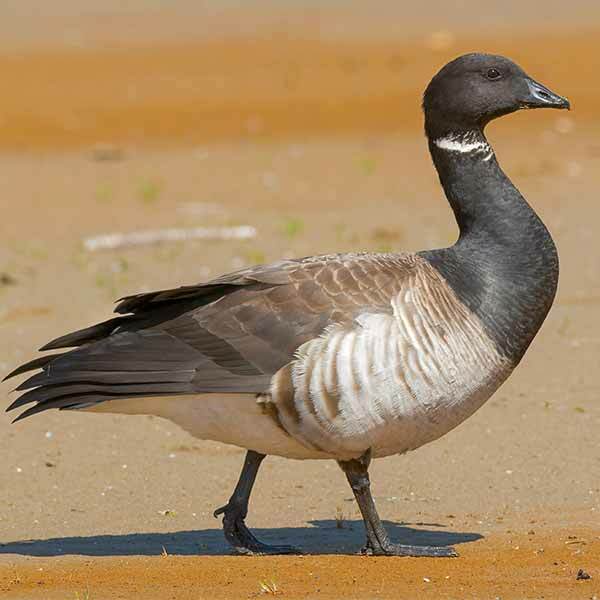 There is a fascinating myth surrounding the brent goose, which can be dated to the 12th century. Several well-respected naturalists believed that this type of goose was a crustacean and biologically identical to barnacles; amazingly, this meant that Catholics in the Irish county of Kerry were, until the late 18th century, permitted to eat brent geese on Fridays because they technically counted as fish! Where: The brent goose is found in several areas across the island, including St Ouen’s Pond in the west, Grouville Bay and Grouville Marsh in the east, and St Aubin’s Bay on the south coast. At this latter location, two races of the brent goose are present, including the pale-bellied subspecies – one of the only places in the UK where it can be seen. Jersey also hosts many sought-after bird species that, whilst not abundant on the island, are nevertheless known to stop off (or even set up home) there from time to time. Their elusive nature means that we can’t guarantee you’ll see the birds described in this section during your trip, but our informative guide certainly gives you the best possible chance! 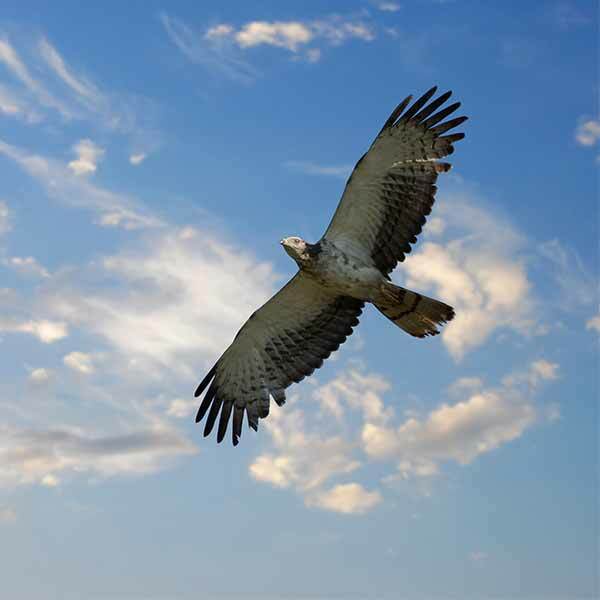 Some of the rarely-spotted birds we’ve recommended keeping an eye out for on your next getaway to Jersey include the European honey-buzzard (a bird of prey that feasts on wasps and hornets and is known to visit annually), and the iconic Atlantic puffin – surely the best-loved bird associated with the Channel Islands. Sightings of the Eurasian golden oriole in Jersey are rare but have been recorded several times in recent years. Occasionally stopping off at the island on their migratory trail during the spring months, spotting these beautiful birds would certainly be worth the patience it will probably take. 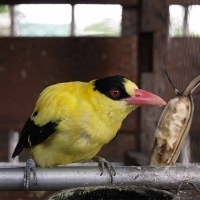 The male golden orioles are particularly striking, sporting black wings and a stunning yellow head and body. Unfortunately, its shy nature means that even this bird’s distinctive markings do not make it easy to spot – however, the oriole’s lovely song and vibrant appearance means that many birdwatchers would happily wait for hours just for the chance to catch a fleeting glimpse of it. Where: The Noirmont headland at the western end of St Aubin’s Bay. Possibly the most distinctive, much-loved and iconic bird found in Jersey and throughout the Channel Islands, the puffin is a truly unique creature. With its orange and yellow beak, red-ringed eyes, black and white plumage and bright orange legs, the puffin is amazing to see up-close – something that’s made easier by the fact that it rarely chooses to fly! In recent years, Atlantic puffin numbers have sadly been declining and, in 2015, the IUCN reclassified its conservation status from ‘Least Concern’ to ‘Vulnerable’. 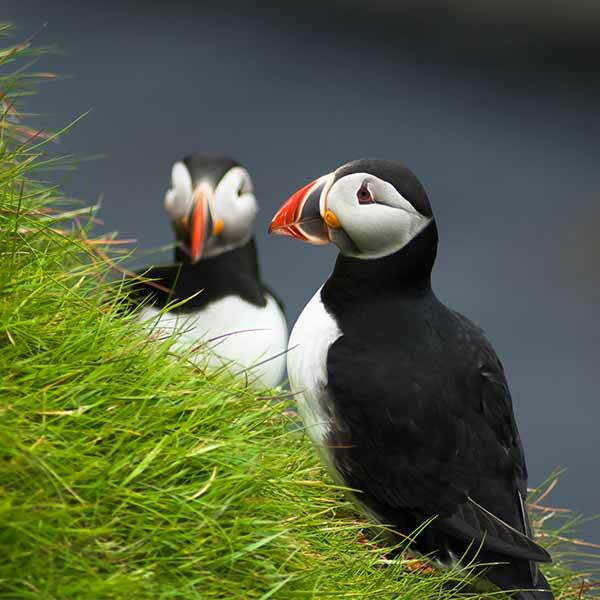 As a result, a substantial local conservation effort is now gaining pace, with concerned Jersey residents setting about monitoring the numbers of puffins that are seen each year in and around the island’s waters. The latest indications are that the puffin is, thankfully, maintaining a stubborn presence in Jersey. Where: Across Jersey’s north coast but particularly at Plemont Bay in the north-west. 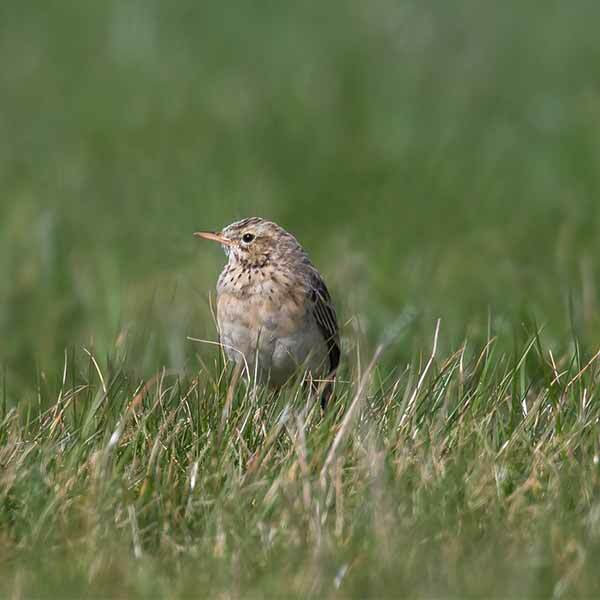 Named after a renowned French naturalist, Charles Richard, this small pipit is rarely seen in western Europe but has been spotted on several occasions in Jersey, usually on the south coast. Typically breeding in northern Asia, the Richard’s pipit migrates to Southeast Asia and the Indian subcontinent, with only a small proportion of the population ever stopping off near the UK. 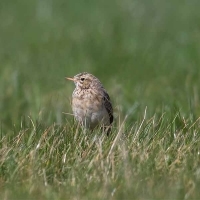 Whilst it may not be the most striking bird in terms of its appearance (its unusual, upright stance is its most interesting and unique feature), the Richard’s pipit is nevertheless an important addition to the Jersey birdwatching scene, demonstrating how the island’s climate and situation is able to attract – on an annual basis – the kind of species that is seldom seen elsewhere in the country. 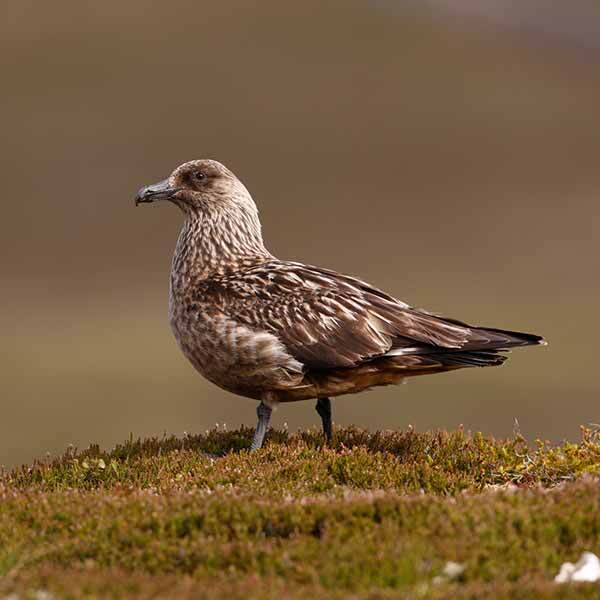 Also known as the ‘bonxie’, the great skua is a large seabird that originated in the Faroe Islands. A rare yet regular visitor to Jersey, this bird often breeds on the Scottish islands and sometimes stops off in the Channel Islands on its migratory path to North America. Its dark colouring, harsh call and large, protruding chest are all features which reflect the great skua’s aggressive and territorial nature. 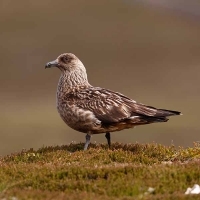 Birdwatchers should be advised that, if they get too close to a skua’s nest, the parent is likely to fly directly towards the head of the intruder. Another example of this bird’s fierce disposition is its tendency to attack other species and rob them of their hard-earned catches. 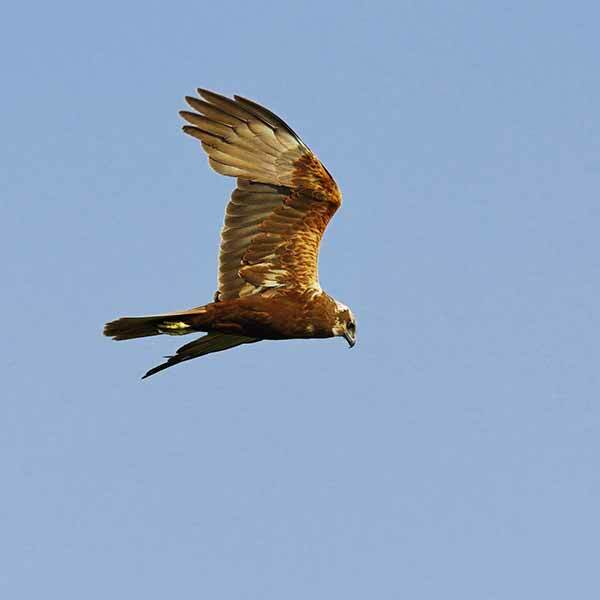 A large, beautiful bird of prey which is found breeding in various regions throughout the world, from the Middle East to Scotland, the Eurasian marsh harrier may be relatively rare in Jersey, but it has nevertheless had a very significant presence on the island at various times in recent decades. Observers believe that the marsh harrier has become a more frequent visitor to Jersey of late, with an increasing number of individuals spending whole summers and winters here and some even breeding on the island in 2002 and 2003. One unwanted side-effect of the predatory birds’ growing prevalence, however, is that it may be discouraging other species, such as little egrets and grey herons, from nesting on Jersey as frequently. When: Despite their rarity, sightings have been recorded throughout the year. Where: Various locations across the island, including Grosnez Point in the north-west, St Ouen’s Pond in the west and La Blinerie to the south. Another bird of prey that is an uncommon but regular visitor to Jersey is the European honey-buzzard, first being spotted on the island in 1940 and now recorded annually. Despite its striking yellow eyes and large wingspan, however, what this bird is most famous for is its bizarre diet. The honey-buzzard’s name gives us a (somewhat misleading) clue as to its food of choice – it is a specialist feeder that mainly enjoys an unusual diet of wasps and hornets. Seemingly immune to the sting of their prey, the buzzard’s long claws allow it to dig into the nests of its victims with little effort. 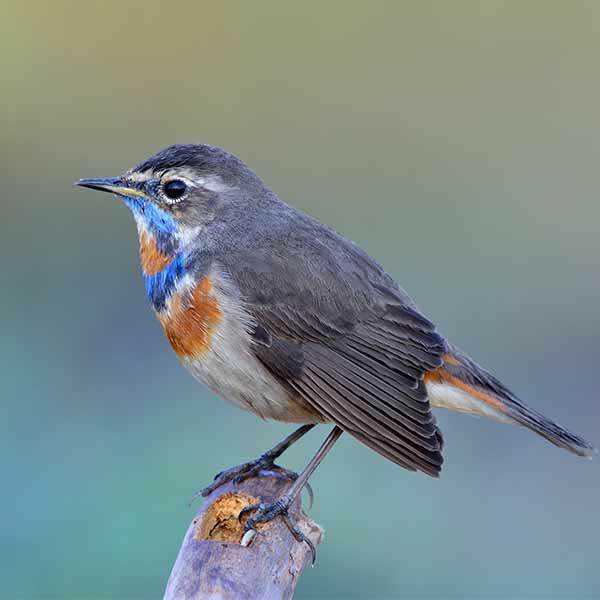 A rather gentler but equally distinctive bird is the bluethroat, a small and attractive flycatcher that occasionally stops off in Jersey on its migratory journey to North Africa and the Indian subcontinent. 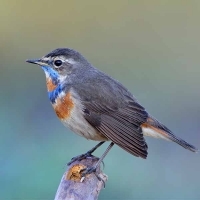 From a distance, the bluethroat looks like the European robin we are all familiar with, having the same kind of brown colouring on its back and being 13-14 centimetres long. Up close, however, the bluethroat is much more spectacular, with blue, orange and black stripes covering its whole chest. There are several subspecies of the bluethroat, two of which – the red-spotted and white-spotted variants – have been spotted in Jersey. Where: La Blinerie, found a couple of miles to the east of the island’s capital, Saint Helier. There is some uncertainty over whether the Eurasian dotterel (part of the plover family of birds) is an annual visitor to Jersey, but it has nevertheless been spotted several times at Grosnez Point over the years. 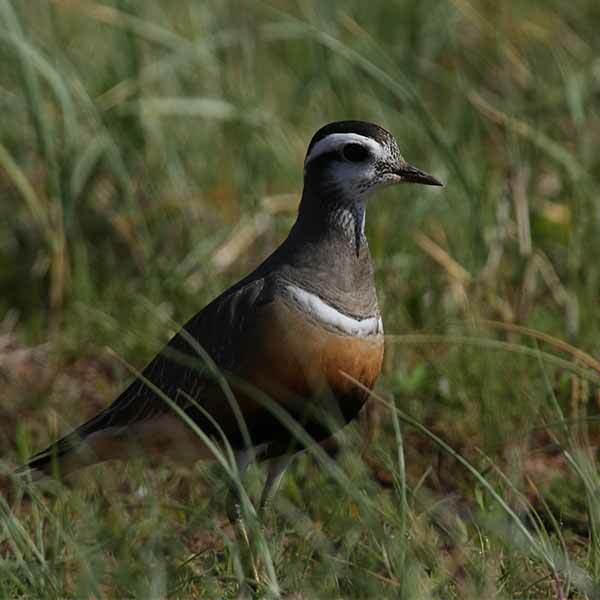 Probably the tamest bird in our guide, the dotterel shares its name with an archaic term meaning ‘old fool’ – it is not clear which usage came first, but this association should be an indication of just how trusting this small wader tends to be. Despite its unsuspecting nature making it an easy target for poachers, the dotterel has fortunately maintained strong global numbers which, given its striking, red-breasted appearance, is great news for birdwatchers. One of the less commonly sighted of eight tern subspecies that have been seen in Jersey since records began, it is believed that the Arctic tern is probably a more common visitor to the island than official numbers would suggest. 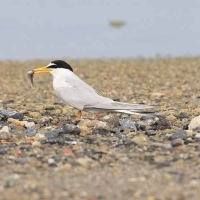 So-called because it breeds in large numbers in Europe’s Arctic and sub-Arctic regions, this tern has been recorded as having the longest migration journey of any animal in the world: birds nesting in the Netherlands have been tracked as covering an annual average of 56,000 miles. 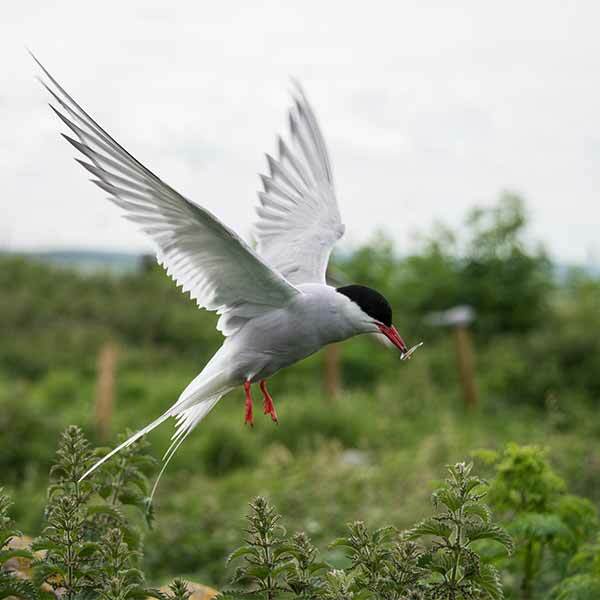 This means that the Arctic tern sees more daylight than any other creature, experiencing two summers a year as it makes its way around the globe. Where: Various points along Jersey’s east coast, including the bays at Grouville, St Catherine’s and La Coupe, as well as La Rocque. 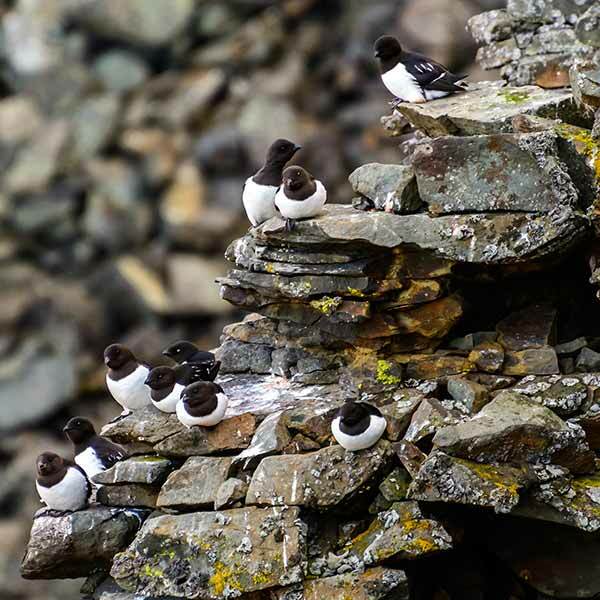 Native to the high Arctic region, little auks are rare visitors to Jersey but can make an appearance on the island when it is hit with westerly storms. Little auks are very distinctive in appearance, with their black heads, wings and backs in stark contrast to their underbelly, which is pure white. The species is also notable for its short beak and tail. The little auk forages for its diet of crustaceans by swimming underwater and, as such, their large colonies are usually found on cliffsides. Although numbers have been declining of late, the bird is still currently classed as being of ‘Least Concern’ by the IUCN. This entry was posted in Jersey News. Bookmark the permalink.